American. Click here for full menu. Enjoy an ice cold beer and fresh gilled burger hot off the grill, atop Denver’s largest outdoor rooftop patio. Join your college alumni for an afternoon of cheering on the team on one or 40 of our High Definition Flat Screens. 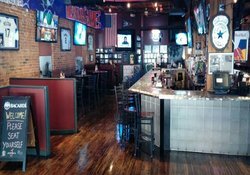 You’ll find everything you need to pull off a day, night or weekend of fun at Jackson’s in Denver.